Aren't them youngins just adorable and that looks like so much fun! They had done a good jobs! Looks fun and they decorated the cookies so cute. I agree, it keeps the kitchen clean when we keep them out of it.... but we have to let them make (small) messes from time to time! thanks for the reminder! 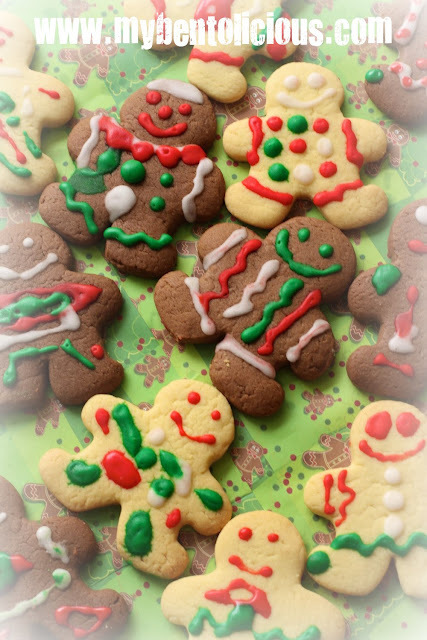 Great job, kids, those ginger bread man r very lovely! Your kids are so cute Lia! And they are so artistic with the decorations, wow! I think it would take my boy quite a while to get the hang of the squeeze bag.. but lots of fun to squeeze all over the place! 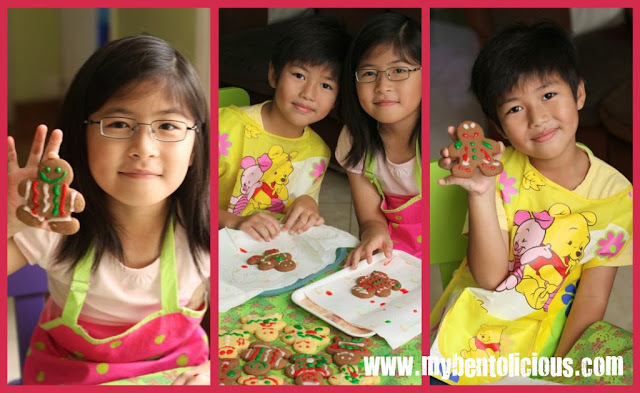 @BentoForKidlet : I am happy to see the kids are having fun. Thanks Jenn! @sherimiya : They are cute as long as they are not arguing with each other over something hehehe ... Thanks a lot Sheri! 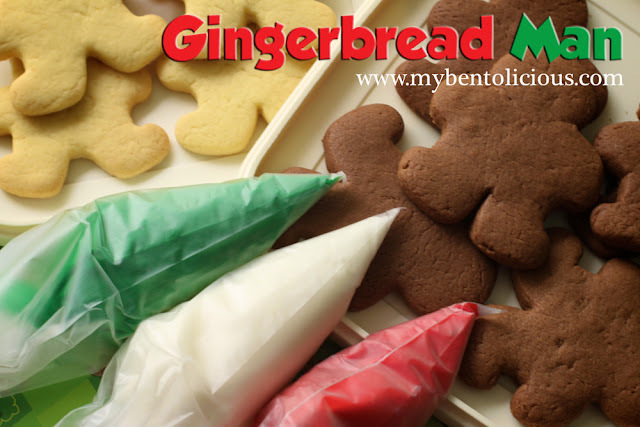 Such cute little gingerbread men =D. I'm sure your kids is having fun with this! I love their masterpiece! Did u made the icing by yourself Lia?